It is hard to believe that tomorrow is the first day of fall! Like the basic white girl that I am, I have been counting down to fall since January 1st. This doesn't mean that I hate summer, because let me tell you...our family knows how to have a good time in the summer, but nothing gets me more excited than a good PSL, blanket scarf and pumpkin patch! 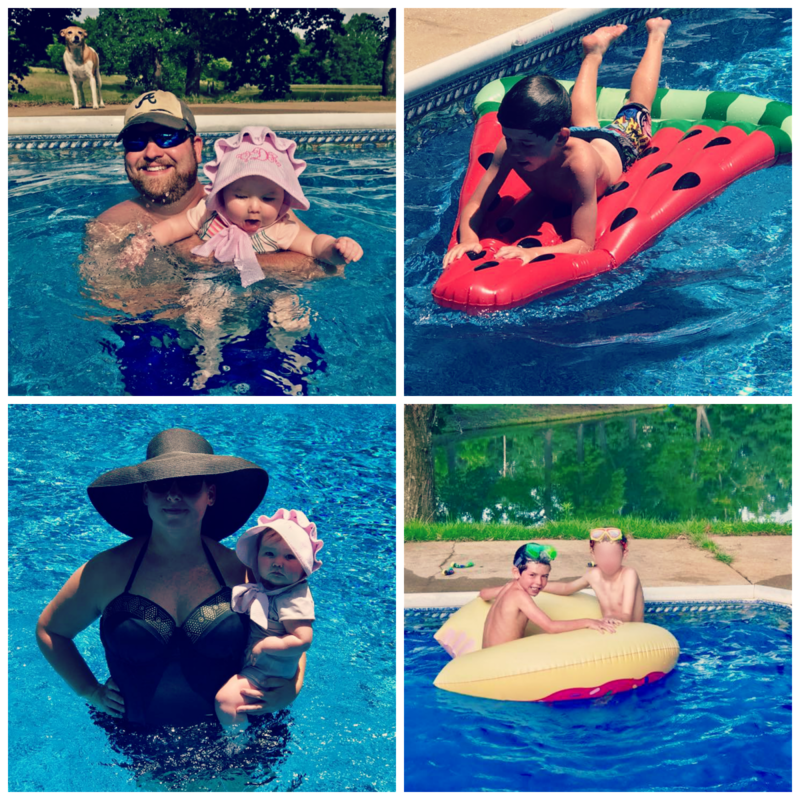 Since summer is leaving us, I thought it would be fun to reminisce on our fun and FULL first summer as a family of four! Bubba spent his first week away from home. 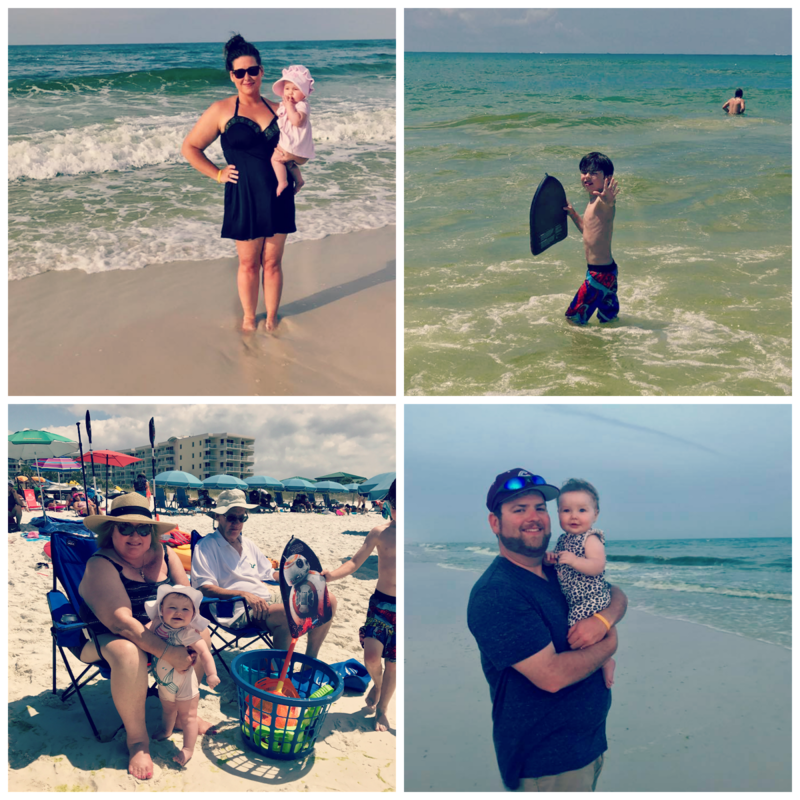 He got to spend a week with his Gran and Pops in Florida, then we all met up at Ft. Walton for a long weekend family beach trip! 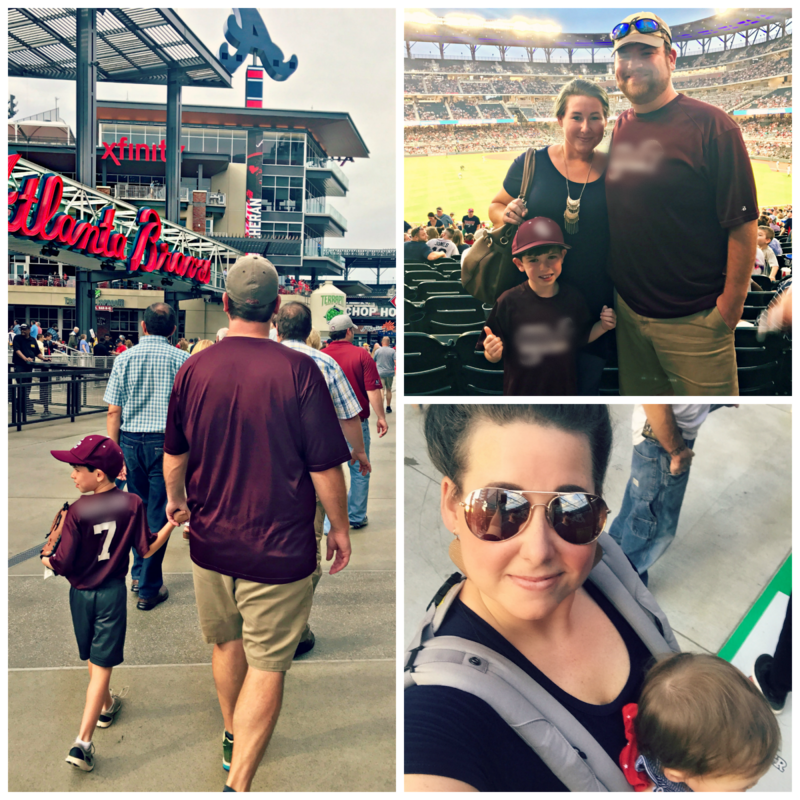 Shortly after our beach trip we got to watch the Braves play in their new home, Suntrust Park. This would be the first of three visits to see our beloved Braves play! Bubba made the county All-Star team, so he played in several All-Star tournaments, then he joined a local travel ball team and started practicing with them over the summer. 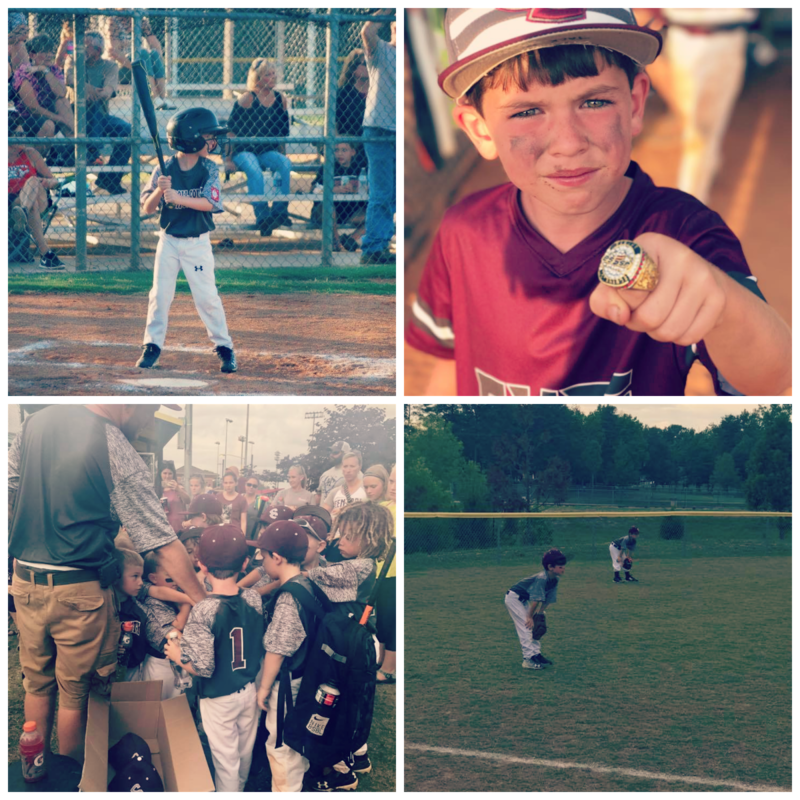 His travel ball team got runner-up in their first tournament of the season! 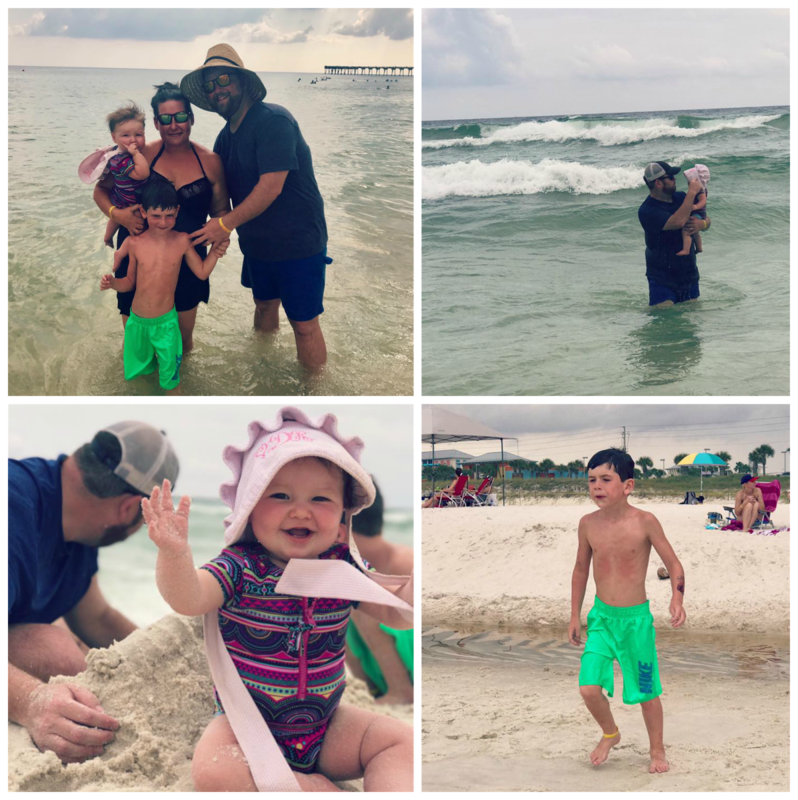 Just before school started we got to go for a 2nd beach trip to PCB with the kid's Nana as well as another family we are close with that has two boys close in age with Bubba. It was a great trip to celebrate the end of summer break. 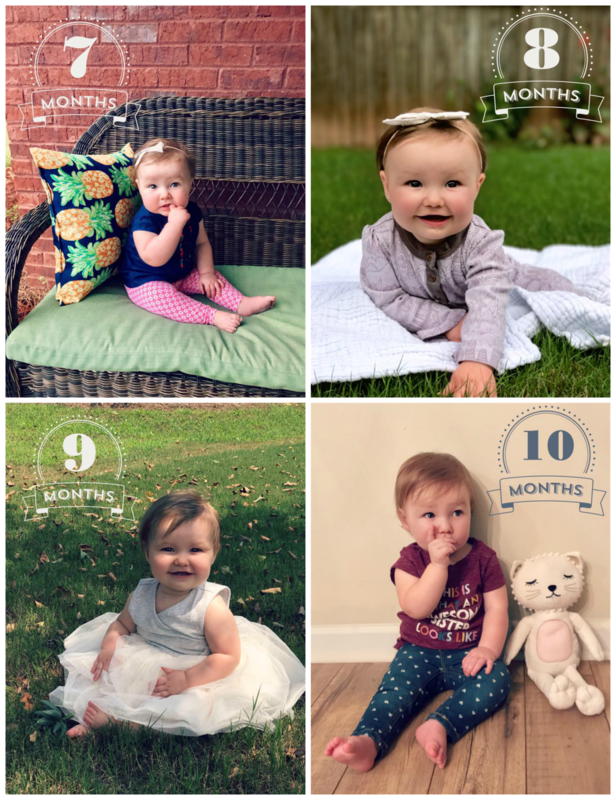 Vivian spent her summer growing and changing like crazy. She is standing, crawling, eating some table foods and sleeping through the night again after refusing to do so the entire summer. It has been so fun to watch her experience the pool and Braves games. She fits right into our crazy bunch. 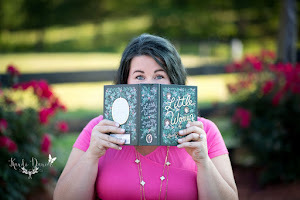 I had been kicking myself because I felt like I had let the summer go by without creating some really great memories for the kids, as well as for the hubs and I. I blinked and summer was over, literally. 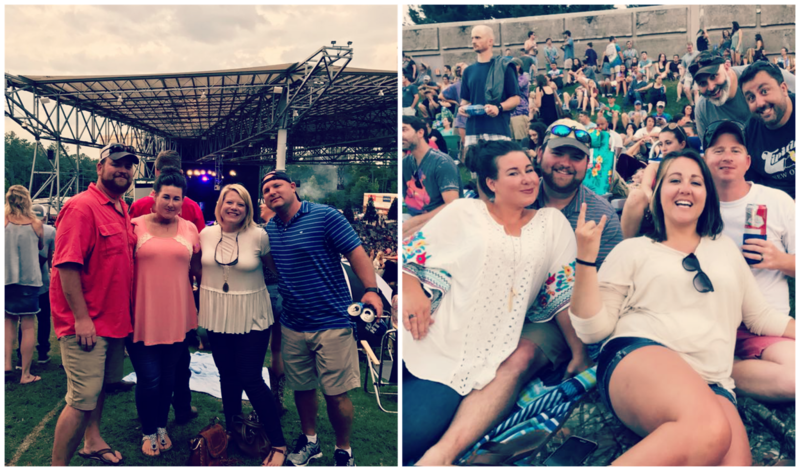 Writing this post made me realize that we have had the most amazing summer. 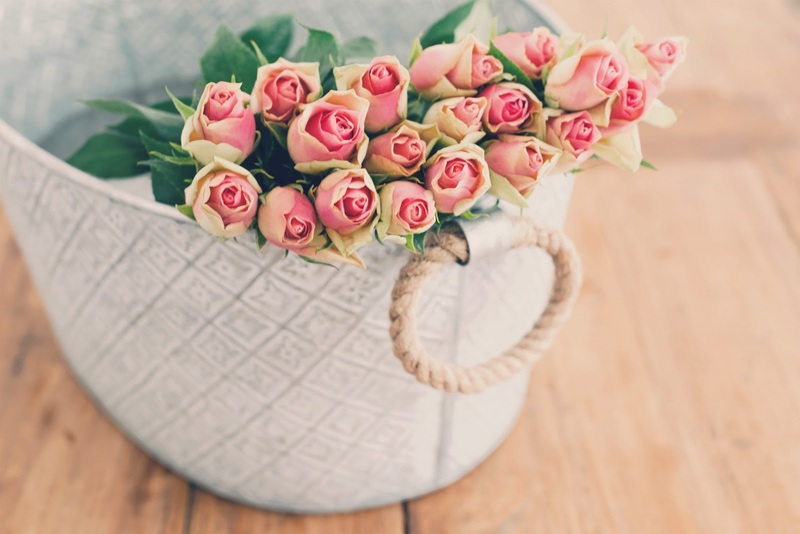 It has been busy and full of plans...but also full of love and laughter. 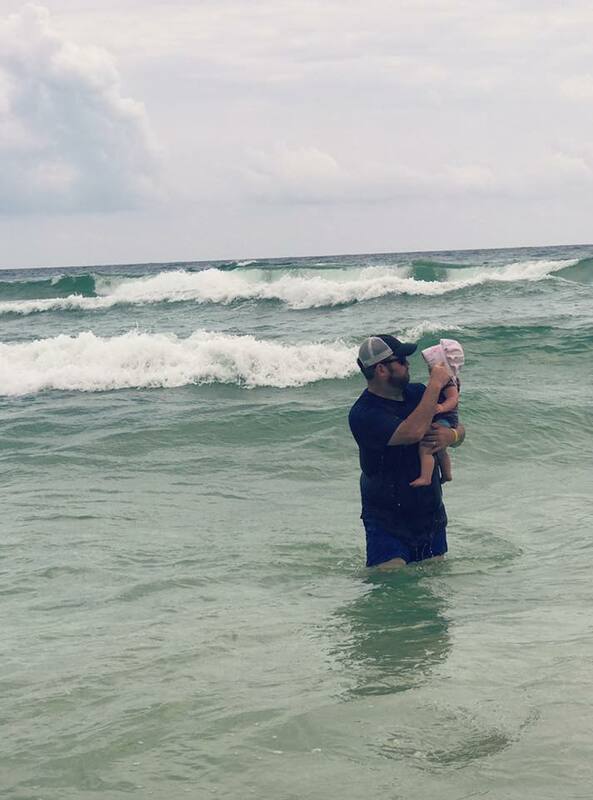 I am feeling the feels as I let go of summer, but am ready to experience all of the fun this fall will have in store for our family!